Timber is the best construction material on earth, and here in Australia it seems so many forces are against the proposition of using our forests wisely to benefit the environment, business and importantly, the community. So, are we shrinking in both our size and collective sense of worth, instead of growing? It seems that nothing we say or do has so far been able to produce a sensible dialogue that encompasses the three elements that make this industry sustainable. Politicians, community leaders, and some self-interested business groups constantly use the timber industry for personal gain and, it seems, without a realistic interest in building a sustainable and vibrant industry that should be leading the charge on the environmental challenges our nation and planet faces. From the merchant’s view point, it means acquiring products from different sources and dealing with new suppliers, but sadly, it also means adding to the potential demise of a strong and vibrant timber industry. This further erodes our nation’s capability to be at the centre of manufacturing, at a time when technologies and capabilities mean that timber should metaphorically be a sunrise industry, providing materials to build homes, offices and cities efficiently, effectively and environmentally. The opportunities present within the merchant sector, and the potential they have to drive the use and growth of the timber market domestically and internationally astound me. However, the ideas are not always shared and as a result they wither and die, alongside lost opportunities. Perhaps we are part of the problem, perhaps we are too busy trying to be part of a business model that really doesn’t work. Perhaps, it is time to do things differently. Is the number of associations we have really necessary? I would argue no. It is my firm belief that the diversity of associations weakens our message, and we need focus and clarity. In many ways, we need to shake up the existing model between businesses and associations and forge a new way. At a time where we can be the sunrise industry, we need to begin to collaborate in ways that really show our industry’s value and contribution. Is it a case of putting a stop to all the talking and getting down to it? However, I believe we need to surrender the old business models, look at what is working and why we are in the jobs we are currently employed in. The challenge of the internet and the way it has changed the way builders, consumers and, architects think and act is something we need to address. It’s the tool that can reinvigorate our perception of our industry, but importantly, the tool that can help us put our positive message out there. 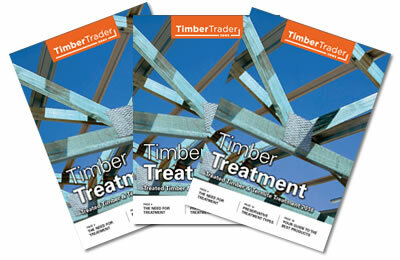 We have seen that in the studies we have undertaken at the Timber Merchants Association (TMA). At the TMA we have also seen how the industry sits backs and waits for people to come to them. This only confirms my belief that industry continues to be constrained by business models that are no longer sustainable. There are fantastic examples of collaboration and innovation out there, from Airbnb for accommodation services to Uber for transportation. These examples have redefined and revolutionised their categories because of their engagement with the internet. They are shining examples for us to look up to, yet we remain hesitant to put our foot forward and still appear to be looking for a “˜Superman’ to save us. Well, there is no “˜Superman’, but there are people willing to make personal sacrifices and meet the challenges that could be faced together. Challenges that many may see as impossible. I believe in this industry and because of that fact I believe it’s time we start to make those hard choices so the industry can advance. While some will scoff at what I say, it is a principal reason behind my resignation from the TMA. The only way to move forward is to start breaking structures and to open up the opportunities to bring discussions out in the open and allow for collaboration to be the driving force. Collaboration has been previously stated as the new competition, otherwise known as “˜collective impact’. I believe it was actually said back in 1989, but it still rings true today. Over time all kinds of new business models have evolved, entire industries have been created (where was social media ten years ago?) and all as a result of collaboration. We need to move forward by being bold, and taking hold. Let’s become that sunrise industry we know we can be. The Fair Work Commission (FWC) released the 2015 Annual Wage Review decision under the Fair Work Act 2009 on 2 June 2015. This is the sixth annual minimum wage review to be conducted by the FWC. All employers should ensure that they can meet their new minimum obligations from 1 July 2015. Please remember, the increase is fully absorbable into over award payments. At this time, it is recommended that employers take the opportunity to check the award classifications of their employees in order ensure that they are being paid at the correct rates. TTIA members with digests will receive summary sheet updates in due course and are invited to contact the TTIA hotline on (02) 9264 0011 if they have any queries regarding this issue. The Timber and Building Materials Association (TABMA) will be running a series of structured seminars titled “˜Innovation Forums’, intended to provide support for organisations considering business improvements. Outcomes include an enhanced understanding of what drives innovation, how to make it work for business enterprises, opportunities for innovation capacity building and skills development within organisations and across their supply/value chains. Chain of Custody: the commercial advantages; This seminar looks at how you can obtain commercial advantages by obtaining certification or by using a certified supplier for your timber requirements. Staffing: recruitment, training and the widening skill shortages. More and more employers within many industries, including the timber industry, are frustrated by not being able to access skilled employees, the work ethics of some potential employees and the perceived lack of career pathways. At the same time, the Australian Government and State Governments are limiting access to publicly funded training. It is intended that participants of this forum will have new methodologies to be able to access skilled and new entry workers in order to; deliver commercially viable training to meet their demands now and into the future. For more details and/or an invitation to these seminars please contact Steve Cunningham on 1800 822 621 or email steve@tabma.com.au. Fitec would like to welcome two new trainers, who will join Pai Teao, as specialist trainers in the timber industry throughout Australia. Dean Wilson has an extensive background in warehousing, logistics, timber sales and frame and truss fabrication, and Tony Wilson has an extensive background in timber frame and truss fabrication, estimating and detailing. Pai, Dean and Tony are more than capable of continuing a delivery of the same high quality training to which Fitec clients have become accustomed to. Fitec are in the process of rolling out a number of short courses especially designed for the timber industry and a new training schedule for public courses is now available. To find out more about what Fitec can offer, please contact June Dunleavy via June.d@fitec.edu.au. 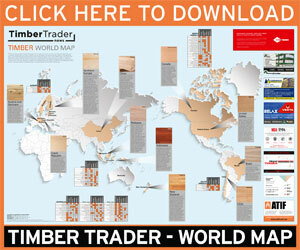 and manufacturing, timber manufactured products, timber merchandising and hardware retail. In addition, shop fitting, cabinetmaking, carpentry and joinery and other timber related apprenticeships that continue to grow. 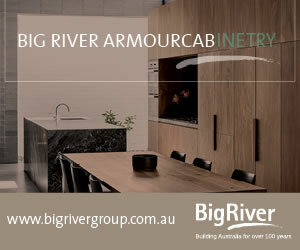 For more information please contact Steve Cunningham on 1800 822 621 or email Steve at steve@tabma.com.au. In light of the Fair Work Commission announcing their annual wage review decision, TABMA will be adjusting charge-out rates accordingly. Saturday 24 October 2015: The Queensland Timber Industry Gala Function, held at the Brisbane Exhibition Centre. The Australian Timber Importers Federation (ATIF) gratefully acknowledges the contribution to the Federation that was made by the retiring Board members Gerry Gardiner, former Managing Director of Asia Pacific Timber Marketing and Glenn Tilling, former Managing Director of Tilling Timber. The Board welcomes the appointment of Chris Woodhouse, Managing Director of Woodhouse Timber, to fill the Queensland position vacated by Gerry Gardiner. The ATIF has held the first of what is planned to be periodic meetings with the Australian Quarantine Inspection Service (AQIS) and Biosecurity Australia in Canberra during the month of June. Increased imports of green and kiln-dried timber from Papua New Guinea. The ATIF was supported at the AQIS meeting by the Managing Director of the Industry Working Group on Quarantine. The ATIF has provided a detailed submission in response to the Forest Industry Advisory Council’s (FIAC) issues paper “˜Meeting future market demand: Australia’s forest products and forest industry – a strategic directions issues paper’. In its submission the ATIF observed that the domestic forest industry faces substantial challenges, notably related to softwood plantation investment and wood processing competitiveness. In relation to native forest-based hardwood timber products, the submission noted the inclination of state governments to transfer large tracts of productive forest to nature reserves for the perceived short-term political advantage. This has a heightened sovereign risk undermined business confidence and limited innovation and investment. ATIF’s submission highlighted the valuable contribution imported timber products make to key national, social, environmental and other goals, at the same time, supporting substantial employment opportunities in building and construction industries. The submission also pointed out the contribution to the development of innovative building products and systems, including prefabricated and engineered wood products, made by timber product importers. It stated that this effort will greatly assist extending the use of timber products in commercial and high-rise building construction. 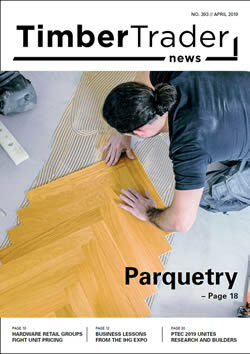 This extension beyond the traditional use of timber products in residential housing construction will aid in expanding the market for both domestically produced and imported timber products with the intended economic, social and environmental benefits.Want to know more about the Fair Work Commission’s 2015 Annual Wage Review decision? Turn to Watt about the Workplace on page 23 to read Emma Watt’s detailed analysis of what the increase may mean for you.